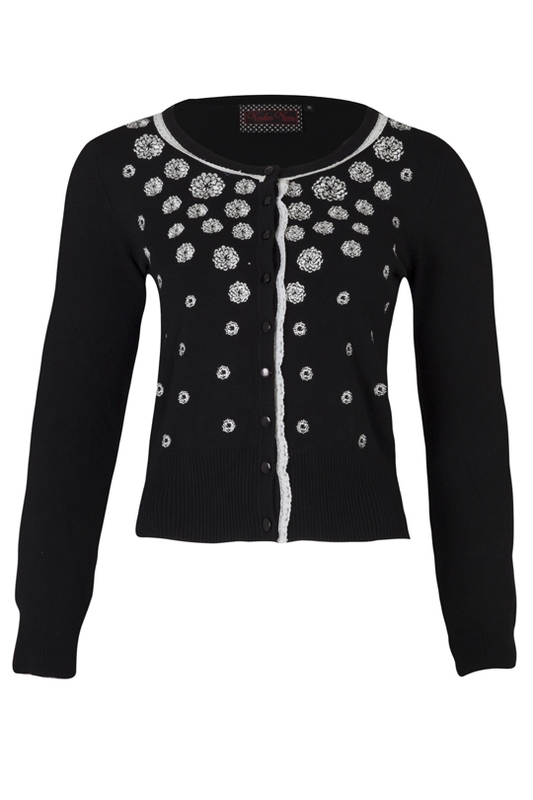 Black soft knit cardigan adorned by falling flowers, highlighting your collar as well as super flattering. If you have any questions regarding your order/deliveries then pop us an email, the info for which can be found on our ‘contact us’ page. We’re not in the office on weekends or bank holidays so please do keep this in consideration when placing your order or contacting us. Our standard working hours are Monday to Friday 10am-6pm (GMT). If there are any issues with your order we will contact you/reply to your queries via email during these hours. When will my order be delivered and how much is delivery? Voodoo Vixen offers free shipping on all UK orders over £20! We aim to despatch orders within 24 hours of payments being made. Delivery for the majority of orders should then take 3-5 working days following shipment via UK Mail- although it can take up to 7 days at busy periods. You will be notified of the shipment of your order via email. We now offer standard shipping to Europe for only £7.50! We aim to despatch orders within 24 hours of payments being made. Orders sent to Europe are shipped via Royal Mail and should reach you within 5-10 working days following shipment, which you will be notified of via email. A signature is required upon delivery of your parcel. If you are out when delivery is made, the courier will leave a card instructing you of what to do. We charge a standard delivery rate of £12.50. Orders sent to the rest of the world are shipped via Royal Mail and should reach you within 10-15 days of shipment which you will be notified of via email, although it can take up to 28 days at busy periods. A signature is required upon delivery of your parcel. If you are out when delivery is made, a card will be left to instruct you what to do. We have a standard return policy. If you are not 100% satisfied with the products that you have received, you have 28 days to return your order back to us in order to receive a full refund. WE ARE OFFERING EXTENDED RETURNS ON ALL ORDERS MADE FROM THE 1ST DECEMBER 2017 WHICH CAN BE RETURNED BY THE 31ST JANUARY 2018. The goods must be returned in their original condition, i.e. in their original packaging, unworn, unwashed and complete with their original labels and tags. With your order you should have received an order slip specifically for returns. Please make sure to complete this slip and place it in your order before sealing. You'll be asked to include details such as your name, address, email, and order number, as well as the details of the item(s) you are returning and the reason for return. Please make sure to include all the details, and the receipt. Additionally, if you do not have this slip then email us and we can email you over a copy. We recommend that you return orders via TRACKED SHIPPING, if possible, as we aren't liable for any returns lost/delayed in the post. 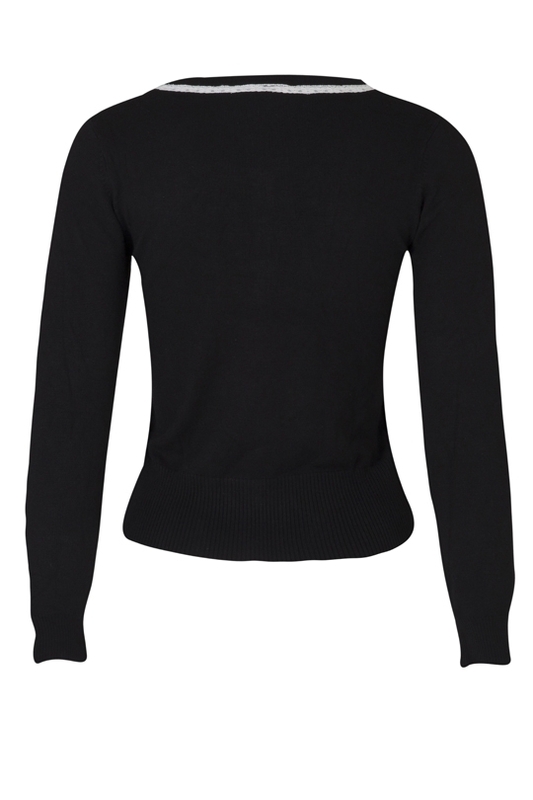 Once we receive your return at the above address we can then refund you for the item(s). Please note, we are only able to cover the cost of your return if the item is faulty, incorrect or damaged, in that instance please check the 'Faulty Items' section of our return policy for more information. In the unlikely instance that you receive an item that is faulty, incorrect or damaged, we are happy to cover the cost of your return, no matter where you are in the world. In this case please email: sales@voodoovixen.co.uk with a photo of the damage and a scan or photo of you postal receipt with the proof of postage clearly shown. This way we can refund the return shipping charges and are prepared to receive your item. Unfortunately, we are unable to refund return shipping without a receipt. © 2019 copyright Voodoo Vixen. All rights reserved.